Mobile Binary Code Review - It's a Scam! Mobile Binary Code Review – It’s a Scam! Mobile Binary Code hails itself as a trading software that can find profitable trades by tapping into the signals from cellphones. Unfortunately, this is just a lie used to lure you into signing up for Mobile Binary Code scam. We’ve done a thorough investigation and documented the evidence in this Mobile Binary Code review, so make sure you read through it before plunging into an obvious scam! Do you believe in quick riches from the internet? If you do, you are the target victim of Mobile Binary Code scam. As soon as you enter the home page of the software, you are bombarded by the pictures of sports car, luxurious yacht, dreamy vacations, and big residence. Coupled with the attractive headline of making thousands of dollars in cash, Mobile Binary Code scam prepares you for the brainwash that follows in the sales video. Howard Kessler, the alleged founder of this software claims that his binary auto-trader searches the billions of cellphones worldwide for profitable trades. Now, not only does this make no sense in investment standpoint, it’s also just a made-up excuse used by binary trading softwares to lure you into the scam. Earlier, we’ve reviewed a software that allegedly use GPS to find profitable trades. Yep, the same GPS that we use to navigate directions. There are simply no lack of creative excuses used by scammers to make you sign up for their scams. With that said, let’s look at some evidence we have found to prove that Mobile Binary Code is a scam. Can you really trust these member profiles? Below the sales video, you’ll see a few member testimonials that give very good reviews for Mobile Binary Code software. Since there are no names and identities associated with these members, we could only conduct a background check based on the profile pictures they have provided. We’ve found the original photo for the member above, and it was disappointing. 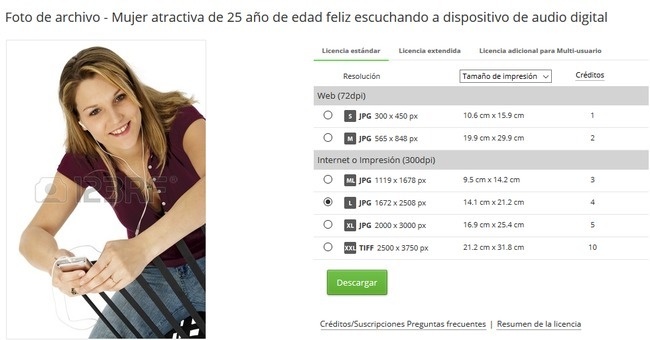 Turns out the profile picture of this member is just a stock photo that can be bought from this link. Stock photos are professional photos that can be bought by anyone and used for marketing purposes. In other word, the member profiles shown by Mobile Binary Code in their sales pages aren’t real members! Here’s another fake member profile that we have uncovered in their sales page. Once again, you can verify our claim by visiting the link to the stock photo. If the members of Mobile Binary Code are real, why do they need to use stock photos to fabricate the profiles? Apparently, there are no real members who made a profit from this generic binary trading software. 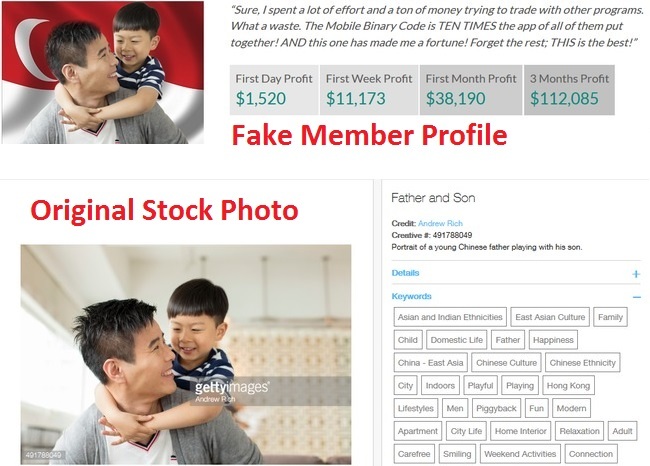 It goes without saying that the profits shown in these profiles are fake, too. But the real question is – can you really trust a company that deceive you this way? Are the quotes from these websites even real? Not sure if you have doubted the legitimacy of the quotes, but we sure did. 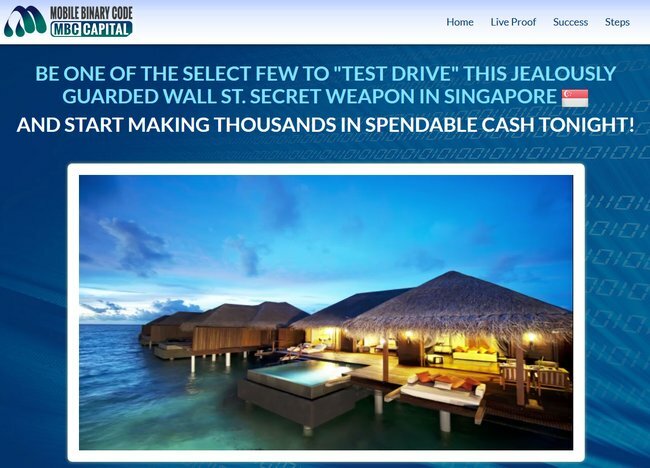 Mobile Binary Code scam quoted a few prestigious financial websites and claim that the software has been given very good reviews by these sites. Fortunately, these websites provide a convenient search tool to let users search for certain keywords in their directory. We can know if certain words have appeared in their news articles, and in this case we used the keywords “Mobile Binary Code”. Turns out that the scam has never been mentioned in any of these 3 websites. If Mobile Binary Code has really been featured in these websites, you would’ve imagined them providing a link to the article, no? The truth is, the scammers are just misusing the reputation of these publications to boost its own credibility. The scam has never been mentioned in any of these publications before, and it never will. We couldn’t access the user disclaimer page in the official website of Mobile Binary Code scam. The clause shown in the above image can be found at the bottom of their official page at mobilebinarycode.net, but they merely show the name of the page at the footer. If you try to click into the User Disclaimer Page, you will simply be redirected to the homepage again. The only possible explanation is because the scammers behind Profit Maker want to develop trust factor without putting in too much effort, just like using fake member profit statements. Is Mobile Binary Code a Scam? YES, MOBILE BINARY CODE IS A SCAM. We strongly advise you to stay away from the scam if you don’t want to lose your hard-earned money. Compound Trader Review – What a Scam!